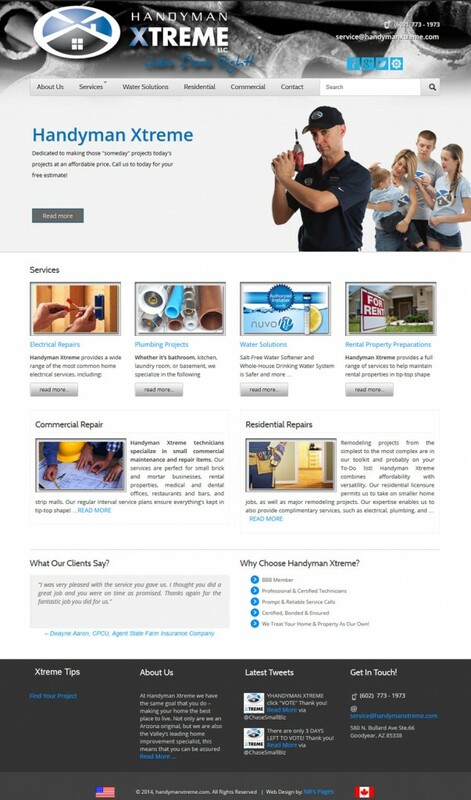 Handyman Xtreme is a very well known local business based in Goodyear, Arizona. Kurt is an exceptional person and is great to work with. He needed to get out of a bad circumstance where his current developer was over charging him and not delivering in a timely or accurate manner. After one interview we had him signed and excited about his new website once again. After we build him a custom and responsive WordPress theme his savings was over $4,000. With that kind of savings he hired us to also create and manage his Google AdWords campaign!